Anger, bewilderment and disappointment among passengers on a deportation flight. On Saturday, January 5, 2019, a KLM flight departed with a young man, mr. Mehimmid, on board. 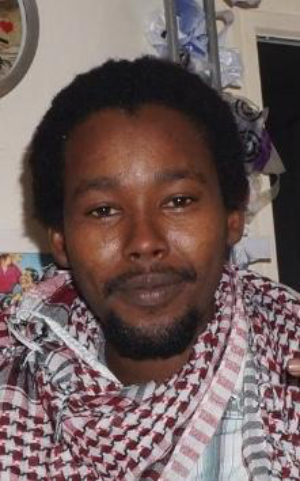 Mr. Mehimmid was forcibly deported to Sudan. It is feared that his life is in danger. Mr. Mehimmid was placed all the way in the back in the last row. The first time we caught sight of him, he was being forced to lie flat on the seats. Three men from the marechaussee were sitting on top of him. A moment later he began to shout, and we saw his face shortly appear above the seats, only to disappear again after a few seconds. The marechaussee were restraining him using sheer force. They covered his mouth to silence him, and his eyes as well. We could only see his feet sticking out and moving. The Dutch government does not monitor what happens to a person after deportation. People are handed over at the airport and mr. Harbers’ job is done, despite him being the responsible minister. It is practically impossible for someone who ends up in a dire situation upon deportation to report or seek redress. It is also extremely difficult and often impossible for human rights organizations to acquire information and gather proof upon which to publish and act. These cases are extremely isolated. After seeking more information about this subject with Amnesty International, I learned that in few cases they manage, working behind the scenes, to uncover relevant information about the situation of the deportee. This work requires much patience, willpower, and the use of connections and other means. In most of these cases they can not publicly reveal the information, in order not to jeopardize the security of the people in question. Though in such cases they do inform the Secretary of State. The experience is however that secretary of State responds to these reports with indifference. It must have been abundantly clear to all involved parties that with the deportation of mr. Mehimmid, who had come to the Netherlands in order to find refuge, his life would be jeopardized. Nonetheless, no effort was spared to ensure that the deportation would continue as planned. There were many agents of the marechaussee on board, who were there to keep Mr. Mehimmid and other critical passengers under control by all possible means, including violence. At one point we counted 12 policemen in the airplane. Any attempt to film the situation was met with a fierce response from both KLM staff and the marechaussee. Passengers who filmed were forced to erase the footage on pain of being ejected from the flight and arrested. We learned later that the marechaussee had claimed in the media that there had been no threat of coercion to the passengers. This was not how we experienced it, to say the least. witnessed. mr. Mehimmid was guarded for the rest of the flight by 4 members of the marechaussee. In the end the plane departed with mr. Mehimmid on board, against his will and with the outright violation of his most basic human rights. After the flight landed I sought contact with people involved in the case of mr. Mehimmid. I came to understand that sharing information or voicing suspicions about his current situation could place him in more danger. It is deeply unfortunate that the Dutch government has placed him and those close to him in this situation. Our thoughts are with him, and we can only hope, after all the commotion and condemnation this has caused, that the Dutch government will try to save face by making sure he will be brought to safety.